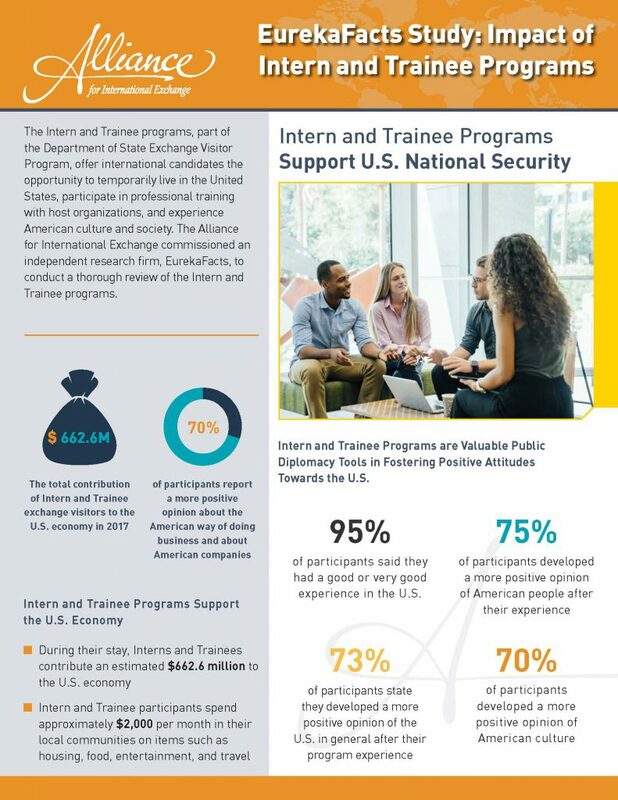 International Intern and Trainee programs offer international candidates an opportunity to temporarily live in the United States and enhance their professional skills while learning about American business and culture. A recent report on these programs conveys the positive impact on U.S. public diplomacy, as well as the economy. 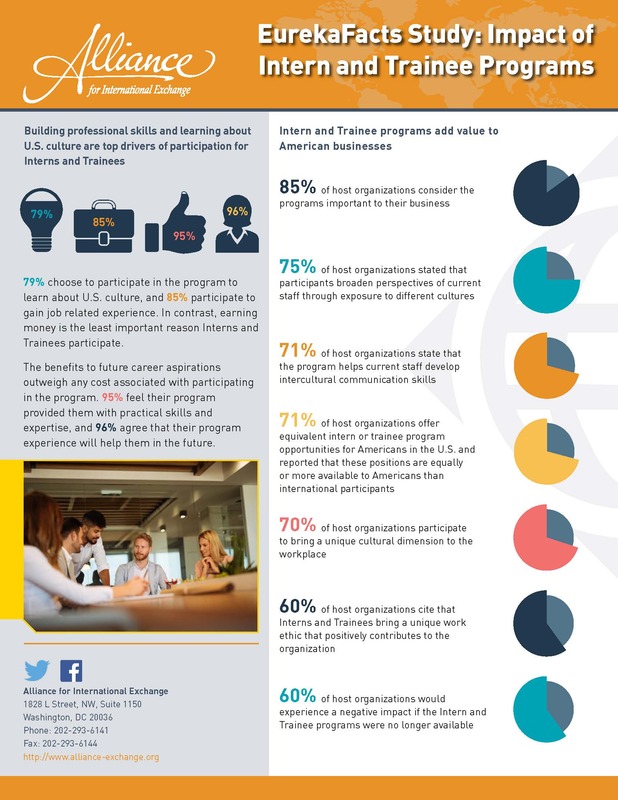 The report concludes 75% of program participants developed a more positive opinion of American people after their exchange experience and contributed over $662 million to the U.S. economy during their stay in 2017.